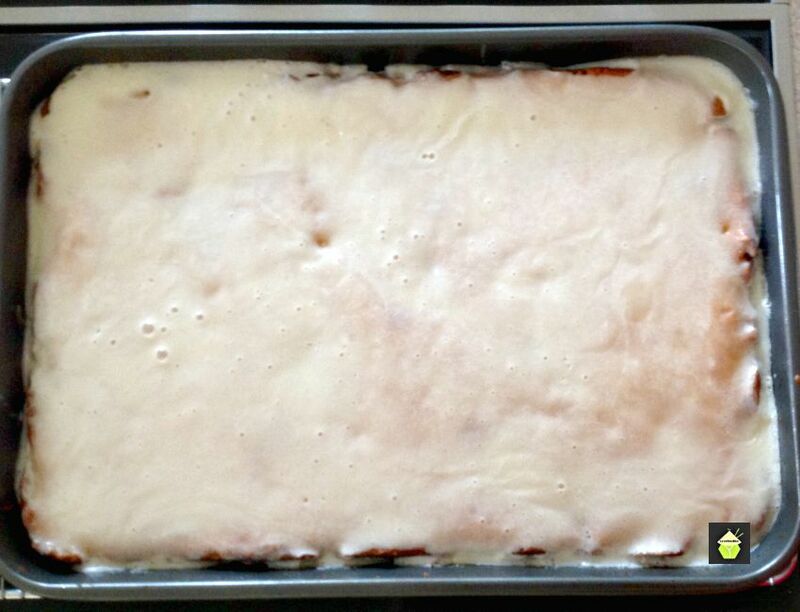 Honey Bun Cake! 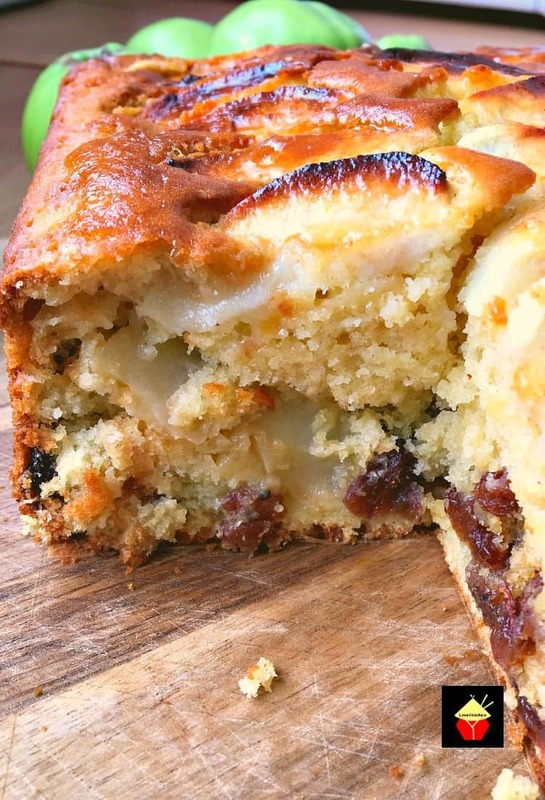 This delicious recipe is a combined effort between our Lovefoodies friends, Sally Hall and Nanny Pat. Of course, full credit must go to the famous Betty Crocker as that is where the original recipe came from. A few adaptations and changes have been made along the way and here we have Sally’s and Nanny’s version. 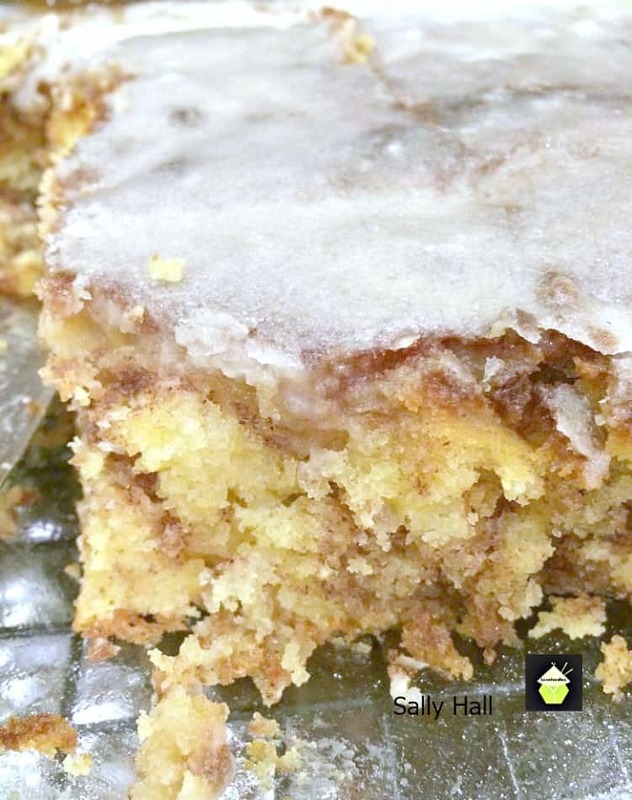 Honey Bun Cake is a lovely, soft, moist cake, with great flavors of cinnamon and brown sugar. In addition, there is an easy sugar glaze, which just takes this cake to another level. Sally says that since the first time she has made this cake, her son has asked her to make it 5 more times!! So if a recipe gets the thumbs up from family, then it is most certainly worth sharing! 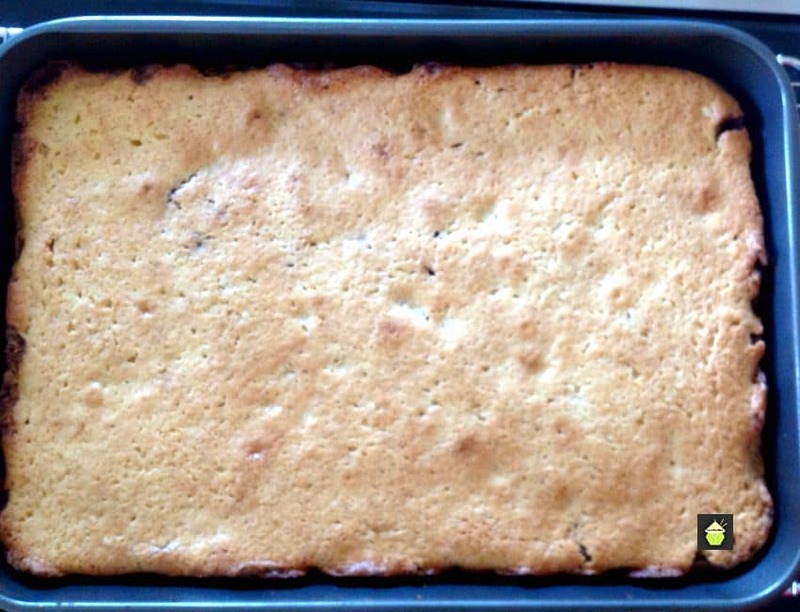 The recipe uses a Yellow Cake Mix, however, if you can’t get that, or wish to make your own from scratch, I have added our own Lovefoodies recipe below for you to use. Recipe by Betty Crocker, Sally Hall and Nanny Pat. 2. In a bowl, beat cake mix, oil, eggs and sour cream until all combined. About 2 minutes. Spread half of the batter in pan evenly. Spread half of the batter in pan evenly. 3. In a small bowl, add the brown sugar and cinnamon. Sprinkle over the batter in the pan. Spread the remaining batter evenly over sugar cinnamon mix and even the surface. 4. Bake for 45 – 50 minutes or the cake is a golden brown. 5. For the glaze, in a small bowl, add the melted butter, powdered sugar, milk, and vanilla and stir until it is a think consistency. 6. Use a fork or skewer and prick holes in the surface of the cake whilst it is still warm. then spread the glaze over cake. Allow to cool before slicing. 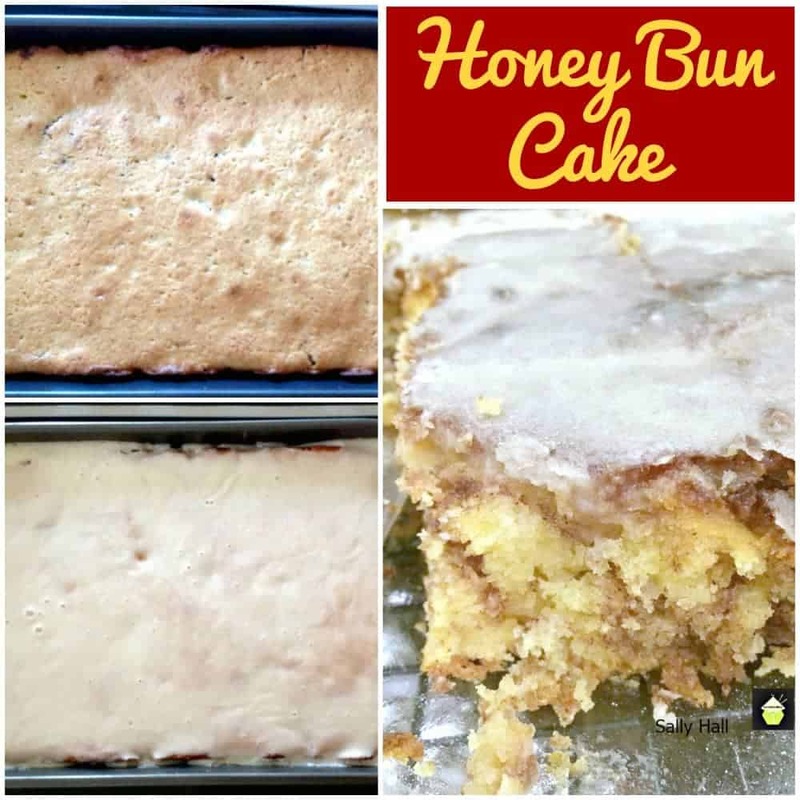 We’d love to hear from you and what you thought of our Honey Bun Cake recipe. Did you make any changes or add some other goodies? Let us know in the comments below. Thanks for reading and happy cooking! Here’s a few more lovely cake recipes for you to enjoy! 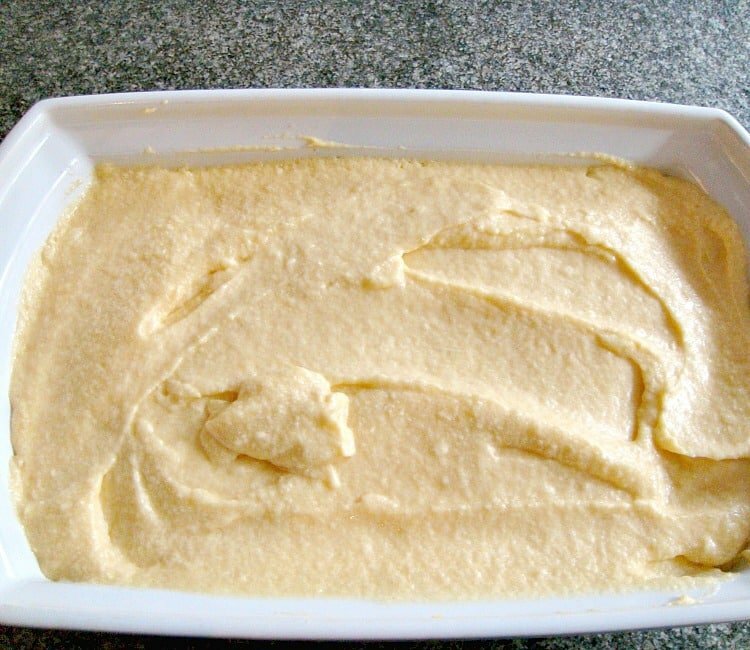 In a bowl, beat cake mix, oil, eggs and sour cream until all combined. About 2 minutes. Spread half of the batter in pan evenly. In small bowl, add the brown sugar and cinnamon. Sprinkle over the batter in the pan. Spread the remaining batter evenly over sugar cinnamon mix and even the surface. Bake for 45 - 50 minutes or the cake is a golden brown. For the glaze, in a small bowl, add the melted butter, powdered sugar, milk and vanilla and stir until it is a think consistency. Use a fork or skewer and prick holes in the surface of the cake whilst it is still warm. then spread the glaze over cake. Allow to cool before slicing. No big changes ! Added a little more brown sugar! No reason. Just like brown sugar! 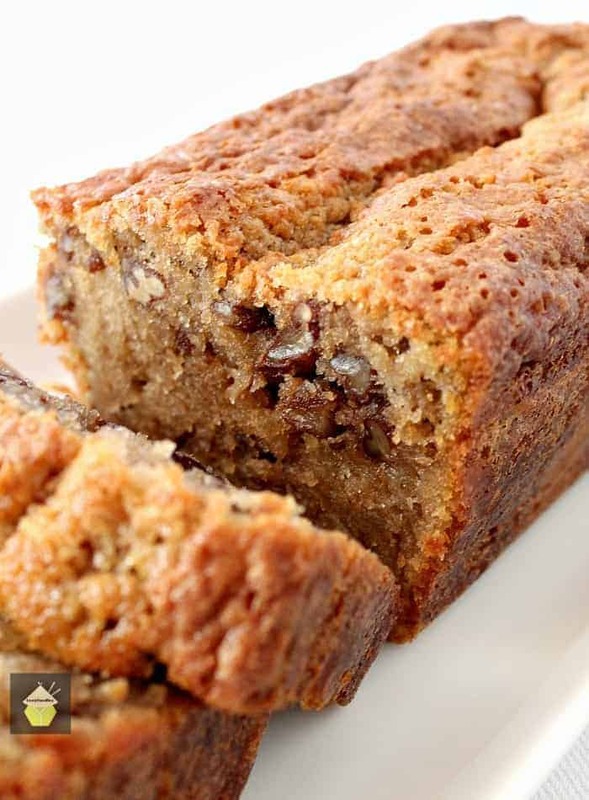 This is a delicious cake, it’ a very moist cake ,which is even good to eat for breakfast. I made it often ,you will love it! I’m about to make this most deliciously moist cake for the 3rd time!! 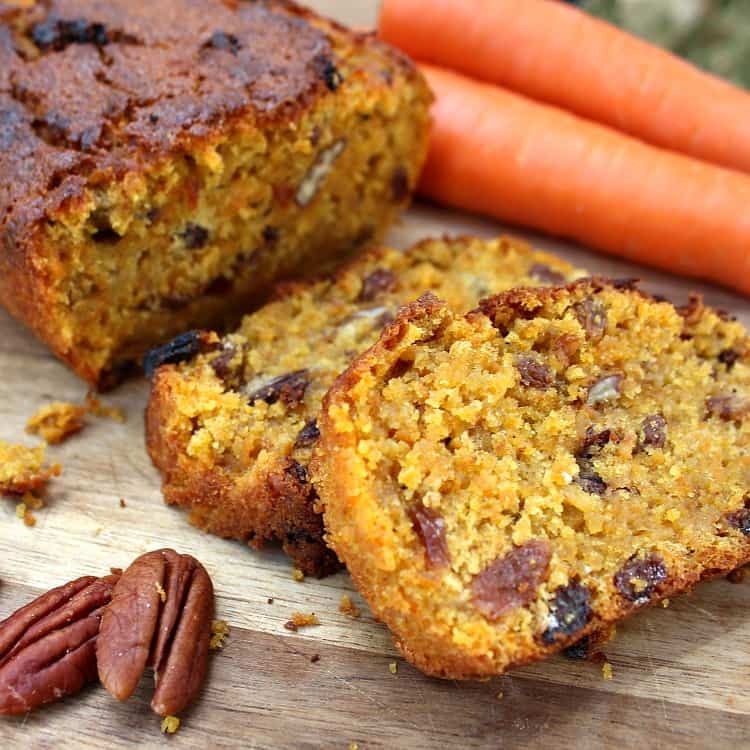 This cake is amazingly scrumptious, we love it so much!! One bite and you’ll be hooked like us. The second layer didn’t spread well after the brown sugar/cinnamon was sprinkled on the first layer but I’m sure it will still be delicious. 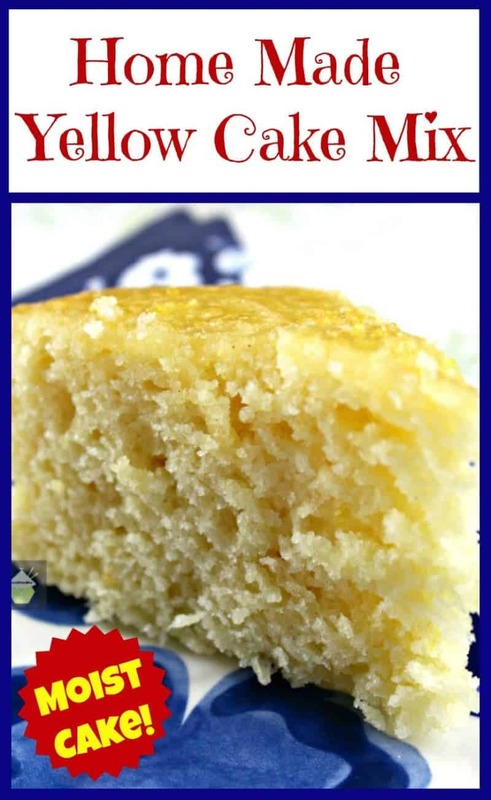 If you use the homemade yellow cake mix do you still add all the other ingredients you would to a box mix.? Love this cake, I’ve made it for years! The only thing I do differently is that I mix 1 tablespoon (instead of 2 teaspoons) into the brown sugar. Makes it nice and cinnamony!! I would like to make this for Easter. How far ahead can I make this and still jave it be yummy? This looks divine! We are going to give it a try. As luck would I have it, I just printed a coupon for butter. Thanks again! No honey in the recipe? How do I adapt the homemade yellow cake recipe you gave as an option I certainly don’t think you would use the eggs and oil? Should you substitute any of the white sugar for the brown? Those are the things im not sure on! Please help this looks amazing! I can’t wait for your reply! 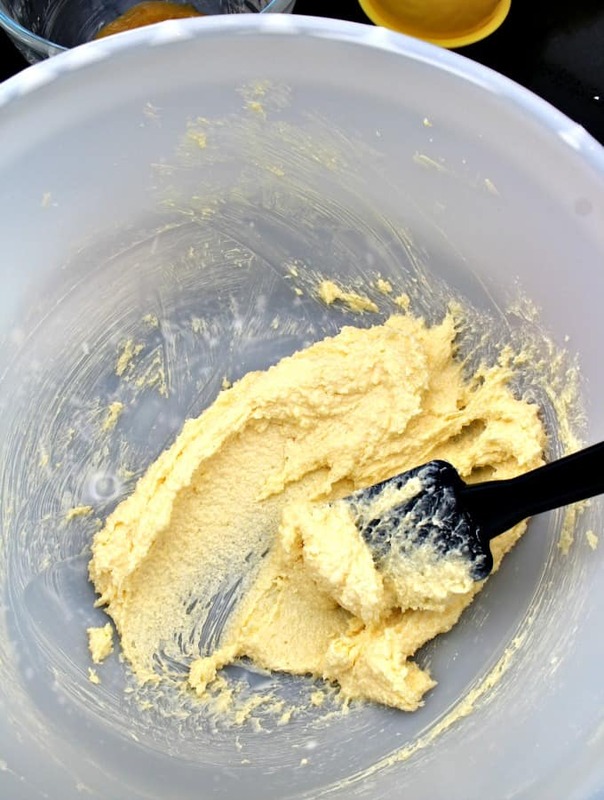 in the honeybun recipe, and go with the entire ingredients for the yellow cake recipe, mixing everything together as you would a normal cake so you get a batter. Keep the sugar regular exactly as stated in the yellow recipe. The 1 cup of brown sugar comes in when you mix that with the cinnamon and sprinkle over the batter just before you put it in the oven. (Step 3 of the honeybun recipe). So in a nutshell, I would suggest you follow the yellow cake recipe to make up the cake batter, then put in the baking pan. 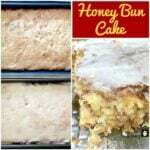 Then hop over and follow the recipe for the honey bun cake from STEP 3 onwards. Hope that’s clear for you! It’s a lovely cake so please do enjoy and happy weekend! Thank you! I really appreciate the quick response! I will check back with with the results when it comes out! Follow the receipe trust me you will not be disappointed. Made this today and we just tried it and loved it. The only thing I did different was glazed it after it cooled. I only did that because I didn’t have powdered sugar and didn’t read the directions all the way through. I think this will be a repeat in our house also. Thanks for sharing. I used to love Honeybuns as a kid. This cake sounds fantastic. I’ve pinned to make soon. Thanks so much for sharing with the Weekend Potluck last week. Happy Thanksgiving! Hi Kim! So glad you like it and we love sharing at Weekend Potluck. So much fun! Wishing you and your family a very Happy Thanksgiving too! Can you tell me what I might substitute for the sour cream for someone who is dairy sensitive? Was wondering if plain applesauce might work. Thanks! I used 1 Cup mayonnaise & a squirt of lemon juice in place of the sour cream and it was moist & delicious.